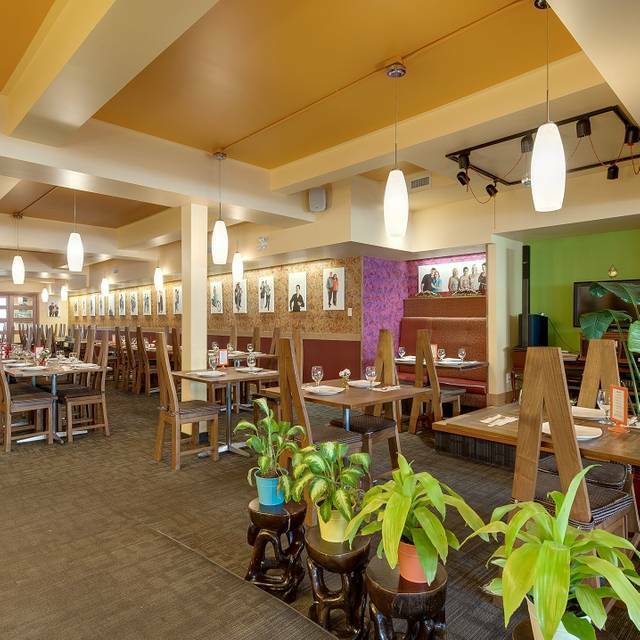 Padmanadi in Edmonton is a vegetarian restaurant that brings the flavors of Indonesia to diners in Alberta. 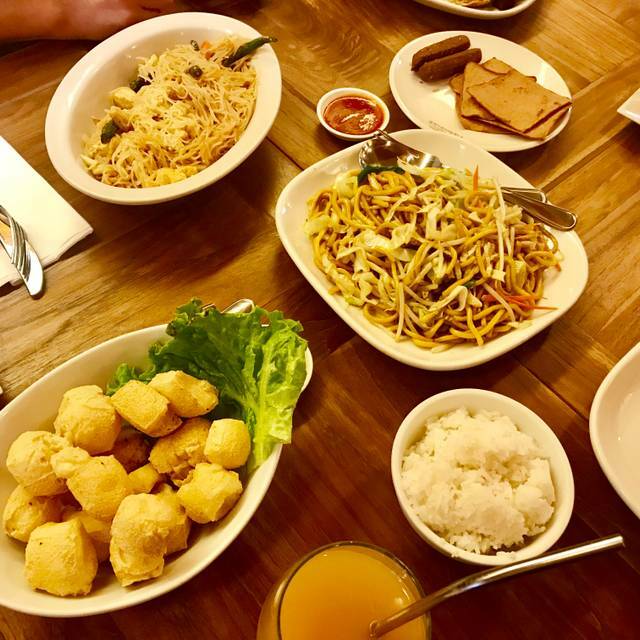 Its menu features only the finest ingredients and a dedication to vegan and vegetarian cooking that reflects the spices and authentic flavors of the Southeast Asian islands. 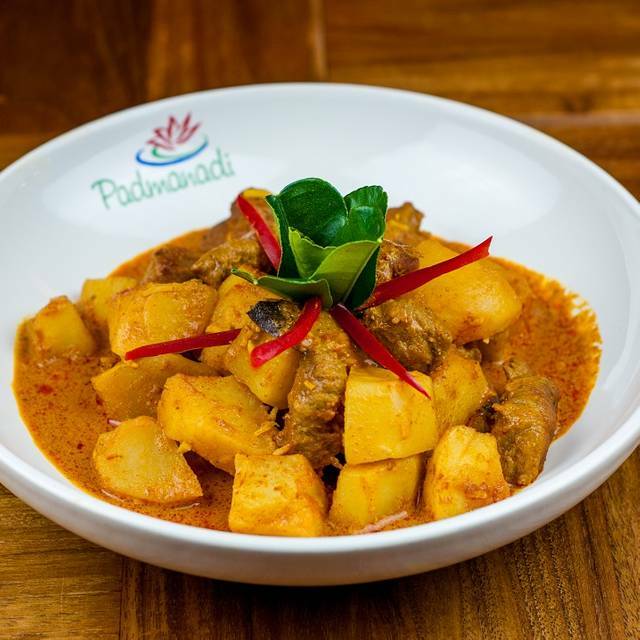 Padmanadi's menu includes a range of dishes like roti canai, fried spring rolls, bean curd drumsticks and deep-fried tofu for appetizers. 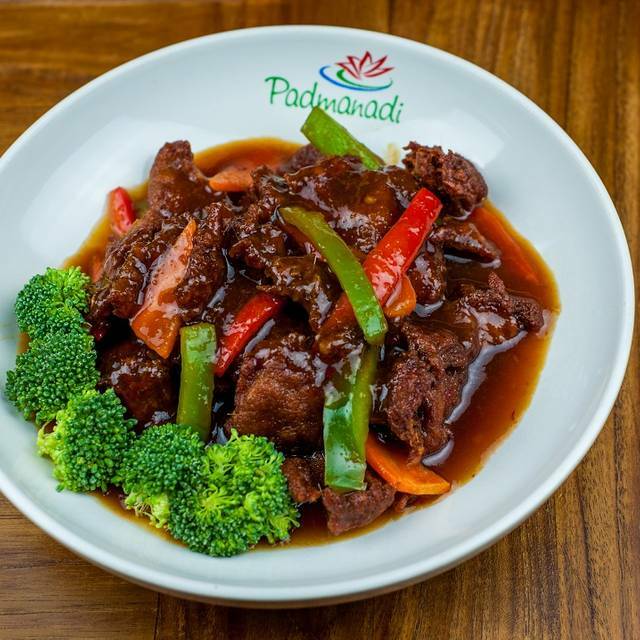 Larger dishes at Padmanadi include soups like tom yum, wonton and corn chowder and stir fries like spicy eggplant, pan-fried broccoli and cauliflower, Shanghai baby bok choi and vegetarian meat dishes like ginger beef and kung pao chicken. Food was amazing! Brought several friends who had never been there before. One of them is a vegetarian and she could not believe how good the food was and kept asking if we were sure it was vegetarian. We’re a pretty loud group and got lucky being seated in the private room at the back, so noise wasn’t an issue. Service was great! Amazing vegan food! We took some guests visiting from Vancouver and everyone loved it. Even the non-vegans. Looking forward to the next visit. The ma po tofu is incredible! The food was good. It’s a classic take on “regular” food by making it vegetarian. If you order, take the ginger beef for sure. Good food choices but the assortment of “meats” platter (appetizer) and the lemon chicken was absolutely not worth it. Great experience, will go again for the ginger beef. Amazing as usual. Love coming here as a date or family dinner! We announced we were having a baby to our family this night! Great food and a great atmosphere. My favorite restaurant in the city! Loved,loved,loved the food. Staff was excellent at providing recommendations and descriptions about the food. The food was fresh,hot and came in a reasonable amount of time. This restaurant was recommended by a friend, and I will be passing the recommendation on. It smelled DELICIOUS the moment we walked in! Great value for what you are getting, good portion sizes. Good variety, fresh food and creative too. The server was great and the food came out without much delay - we were surprised how quick it came. Being a vegetarian, it's nice to know you can choose from any item on the menu without worry. We will be back to try more! This is my husband and myselves favorite restraurant to eat at as it is reasonable priced, great service and great food! Love eating here. Friendly, smiling, helpful server. Delicious vegan dishes ( I’m not vegan but, who cares) The family evening was very enjoyable. Great food - planning to go back for an evening meal, looking forward to try more dishes. I took my vegetarian girlfriend here and I was ready to pretend to like the food, but I REALLY enjoyed it. Every time we go to Padmanadi our dining experience is memorable. the food is excellent and the staff are very welcoming. This time our server provided us with a free dessert (for Valentine's Day) that was delicious. We will go back again and again. 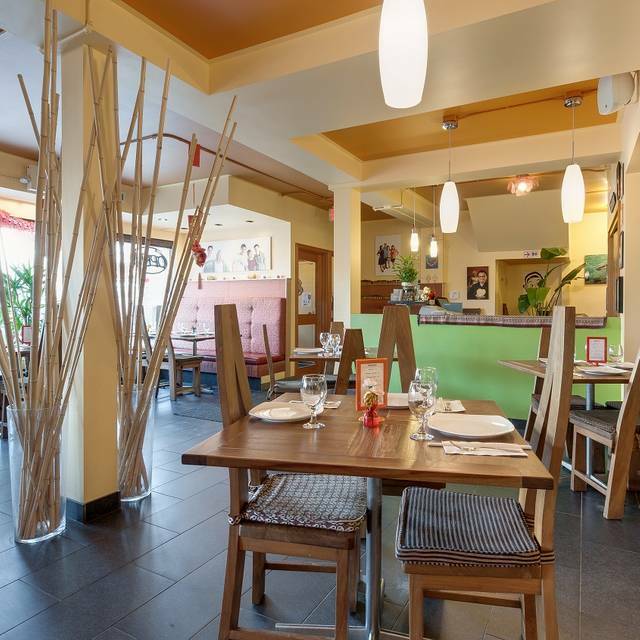 One of the best vegan restaurants in Edmonton! Always great service and food! Always five stars when I go there! Staff makes you feel like family. Can't say enough good things about this restaurant! I always love coming to Padmanadi! 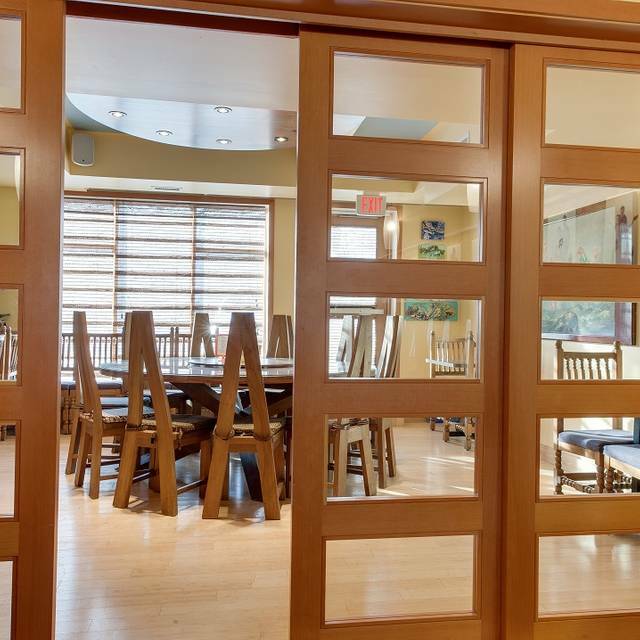 The food is great, even for meat eaters, and the staff is super friendly. They always welcome any questions about the menu or decor. Would highly recommend to anyone looking to try something new. My families favourite is the ginger beef!! Excellent Service and Very patient staff..we were all late for our reservation due to the terrible weather and road conditions. It was busy and the noise level is as expected for a place were all the patrons are free to enjoy the wonderful food and atmosphere! I love the food there, every dish has its specialty. My favorite is the curry chicken. The staff takes really good care of you. I always look forward to a new experience at Padmanadi. The food was amazing! Best vegan food I’ve tasted so far! Hands down our favourite place to eat. Even when the store is packed service is still perfect, food is quick and always delicious. Very well run. 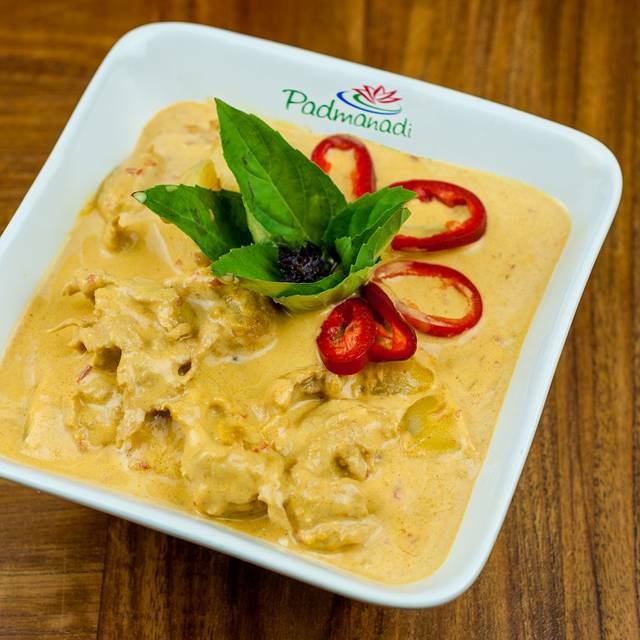 I recommend padmanadis to everyone! A non-pretentious vegan place is hard to find but padmanadis crushes it constantly. It’s easily my favourite restaurant and the service is always so friendly and knowledgeable about the food. Whether you are dining in, taking out or ordering, the service and the food won't ever disappoint! This was our first visit, but definitely not our last. Our server was very attentive, super friendly. Food was excellent. I highly recommend Padmanadi. Everybody in our group of 4 was extremely happy with the brunch selections! As always, excellent food quality and many choices. The place is always packed when we go, so it’s quite noisy for my taste. If you’re ok with that, you won’t regret a visit to this Restaurant! One of my favourite places to eat in Edmonton and I’m not even a vegetarian! Food is always great as is the service. We try to go at least once a month, even if that means ordering in from them when we’re unable to make it down to them. We’ve been going for years and the quality has never diminished. Highly recommended to anyone curious about them! Fresh, flavourful vegan fare - never disappoints! The warm and caring nature of all who work there make every visit a truly special outing. First time here, food was delicious! My new favourite restaurant! As a vegetarian with celiac disease, I am amazed at the quality and selection of dishes. Also, outstanding service! Would recommend only to serious vegans. Good enough substitute for meat. i'm not vegan/vegetarian and absolutely LOVE Padmanadi's. My friend who introduced me to Padmanadi's lives in Claresholm. She will travel up for the weekend just to visit and eat at the restaurant. Best place in town in my opinion! Service was amazing, food was incredible, can't wait to come back! Everything was plant-based, so as a vegan I appreciated that. Went to Padmanadi on a date with my omni boyfriend and we were both equally impressed- it's SO GOOD. Lauren served us and sorted us out with recommendations - she was fantastic. We had the curry and the ginger beef with coconut rice, and were so full we took the panacotta and cheesecake away with us. Everything was seriously delicious and the atmosophere was great. I love all the pictures they have on the walls and they have big tables to accommodate large groups and tables for two too. 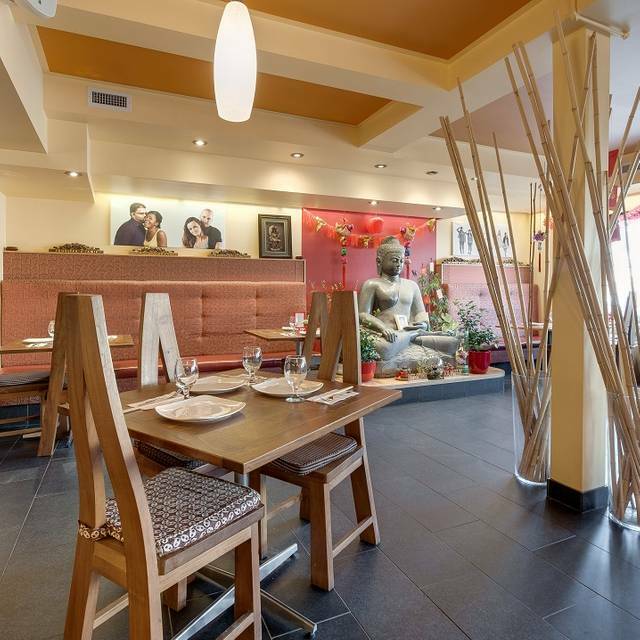 It's a lovely space - go and try Padmanadi! The food is incredibly delicious -- we were all delighted! Always a great experience. The wait-staff are friendly, efficient and helpful. Incredible. Fantastic food and great service. Loved everything about Padmanadi and will most definitely go again and recommend to friends. If I had to live off one restaurant for the rest of my life I would chose Padmanadi. 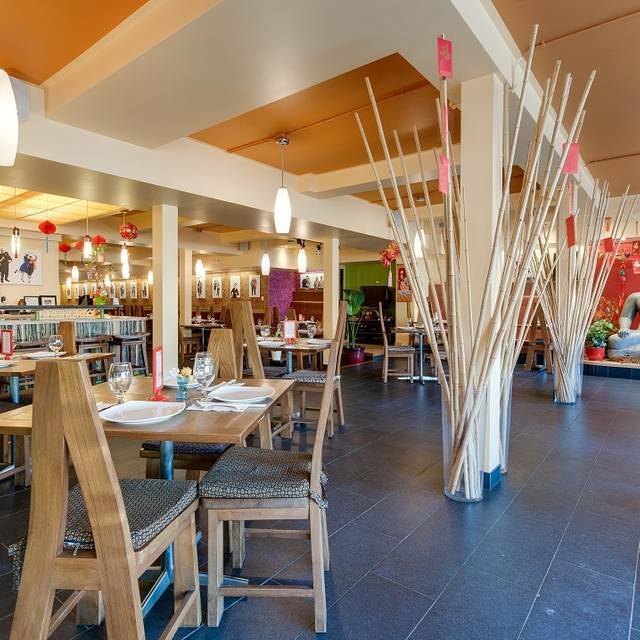 The food is always amazing and the staff are friendly and informative. Can't wait to come back! First time and it was delicious!